We've all struggled with the best way to get all students to participate. Here are a few tricks to give all students a voice in your class. Nothing revolutionary here, but a few good reminders. At the beginning of the semester, I used ask students to write their name on an index card and write a semester goal on the back. Then, throughout the semester, I would shuffle the cards and pull one every time I wanted students to participate. Students rarely argued because they could see I had chosen them randomly. I never put them on the spot without some prep though. I typically used the cards after a think-pair-share when I knew that everyone had something to say. I used the cards to group students quickly too. I now use Team Shake instead of the index cards, but it's basically the same thing. I refer to Team Shake as my "favorite app" and the students groan whenever I open it because they know they need to be prepared to contribute. This app costs $0.99, but it is worth the investment. 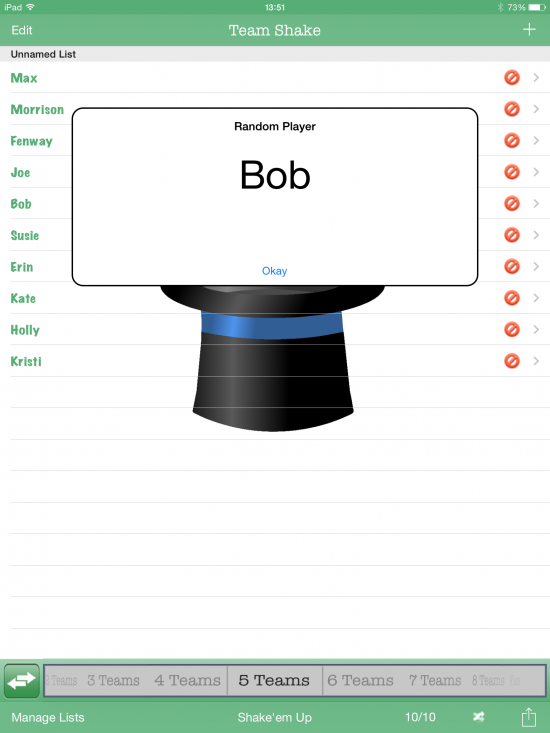 Once I input my class rosters, I can randomly call on any student in the room. I usually project it on the screen so students can see that it's random. They also know that I'm not only going to call on the kids whose hands are always us, so they take the practice activities seriously just in case. 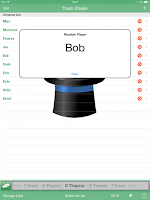 Team Shake is also great for instantaneous grouping students and forming teams. My go-to activity for applying a new concept in writing is to ask students to write anonymously on paper or index cards. Then I collect their writing samples and put a few up on the ELMO or read them so we can identify strengths and weaknesses. While this can be effective, it can also be time-consuming and I tend to lose the students in the shuffling of paperwork. 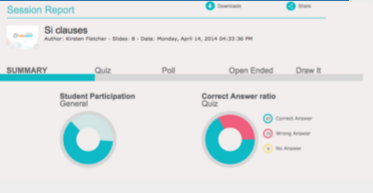 Now, after I teach or review a tricky concept, I often ask my students to log into Socrative to write a sentence applying the new grammar, vocabulary, etc. 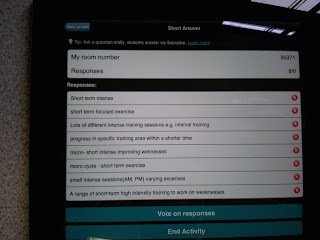 When asking an open-ended question in Socrative, I choose to make answers anonymous. I project the answers and correct errors in front of the class, but no one knows whose work I am correcting. I find that students take greater risks when their work is anonymous and the discussion is richer. Often, the same mistakes are repeated multiple times, so I can quickly identify common misconceptions. By doing this activity in Socrative instead of on paper, I can give feedback after every question so students can correct their errors before the next question. There are also many other uses for the Socrative app, as outlined by this blog post by Rachel Barry. For comprehension checks or skills practice, I used to pass out a set of mini white boards, markers, and erasers. I would then project a powerpoint or call out a question and have students write the answers. While this was somewhat effective, it was difficult to give meaningful feedback because students couldn't always see others' boards clearly. Today I do this same type of activity with Nearpod. 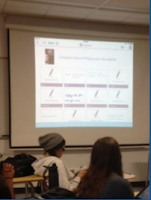 The advantage of Nearpod is that it functions like an interactive powerpoint. I can frontload the activity with a few slides to review the concept I want to practice. Then I add "Draw it" slides where students can write their own answers. It is not anonymous, so it is best to do this once students are comfortable with one another. I project the teacher view as students work so that I can quickly flip through their answers and make corrections if necessary. If there is a good class rapport, students tend to get creative with their answers. Nearpod also allows for multiple choice quizzes and other activities. After the activity, it is possible to print out results or run reports to get a clear picture of student understanding. Results of Nearpod activities can be emailed to the teacher. There are, of course, many other ways to engage students and allow their voices to be heard. See this blog post from Mark Heintz on Schoology discussions for more ideas.